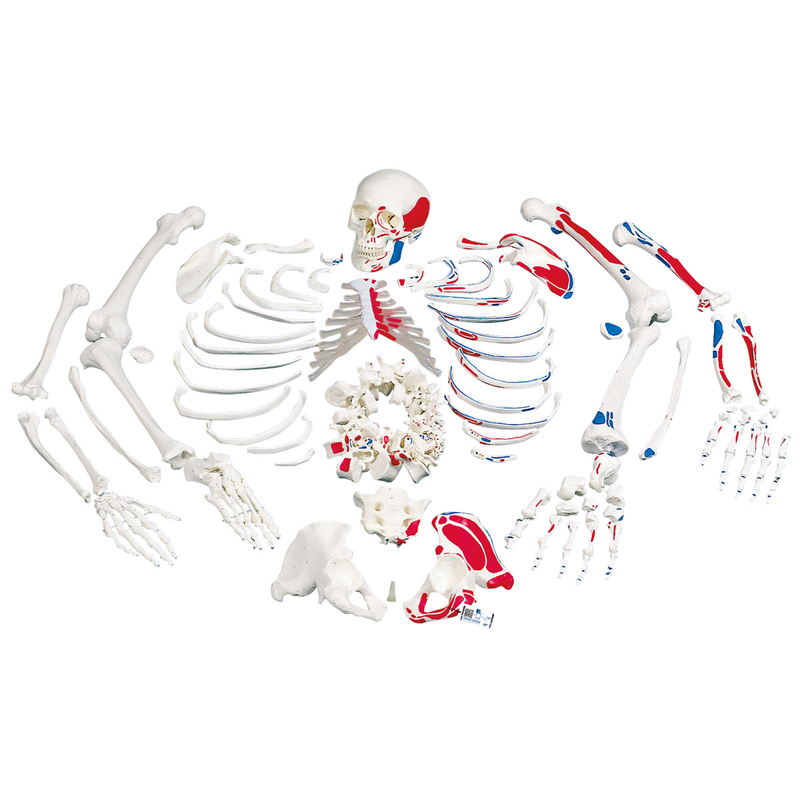 This 3B disarticulated skeleton is hand-painted and numbered to show muscle origins in red and muscle insertions in blue on the left side. The disarticulated skeleton's bones and bony structures such as fissures, foramina and processes are hand-numbered on the right side. The skull is detachable into 3 parts for detailed anatomical study. Consists of 53 pieces.